I’d like to bet that the majority of aspiring dressage riders enjoy their riding. Yet how often do you see a smile on the face of a rider whilst training? The answer, in my experience, is not often. A very simple and hugely beneficial tip is to relax the lower part of your face; smile from the inside. By doing so, your face will soften, your eyes will relax, so will your jaw and it will help you to relax your shoulders and arms. Often we don’t even know we are doing it, but when concentrating, the effort involved shows as tension in the jaw muscles. Jaw tension can be frustrating, because unless you notice it and do something about it, it can send shock-waves of tension down your body and through your arms without you knowing. We all carry our daily tensions and stresses in various parts of our bodies, yet the sensitive muscles of the jaw seem particularly susceptible to chronic tension and stress. The very best way to relieve the tension? Simply smile. 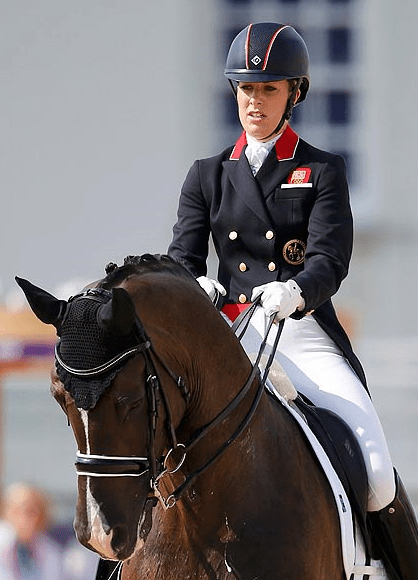 Elite Dressage Riders have a lot to smile about, but maybe it’s actually because they smile a lot! 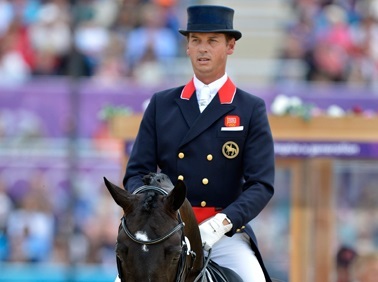 Notice how Carl Hester and Charlotte Dujardin always relax their jaw whilst competition riding, either with a slight smile or with the mouth very slightly open. If smiling is too difficult for you (?) simply open or drop the lower jaw. Not in a hanging open sort of way as you will just look like a bit of an idiot but enough to soften the jaw. So, there you have it, if you want to put in a jaw-dropping performance at competition, drop your jaw! Oh, and try not to dribble.